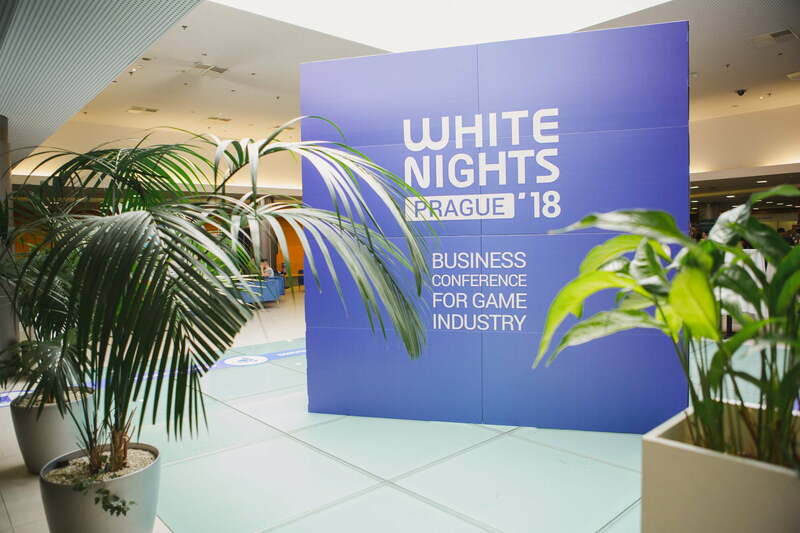 White Nights are business-oriented game industry conferences organized by Nevosoft. There is White Nights in Moscow and St. Petesburg. Since 2017 there is also one in Prague. I was there in 2017 🙂 But this year it was a bit different. How? 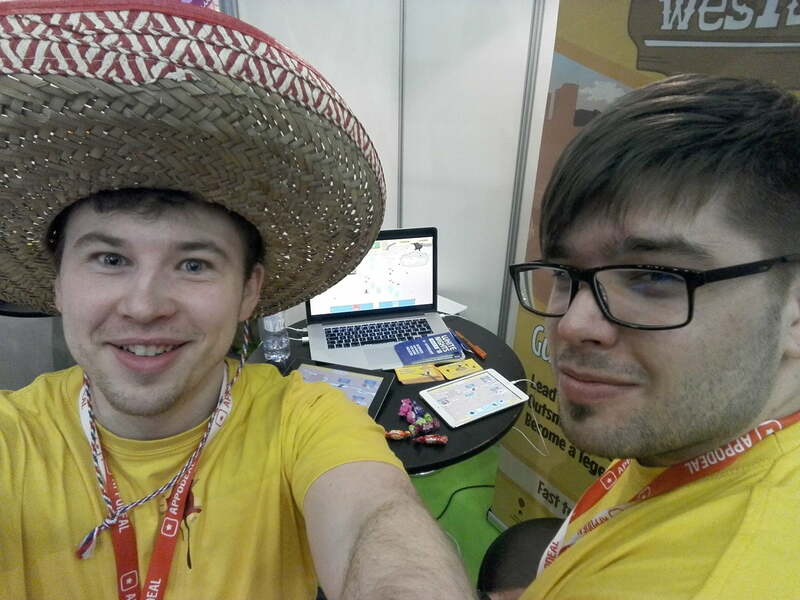 Last year I was only a visitor (as well as volunteer), but this time I was showcasing WesTurn game with Tomáš. It’s a different experience. 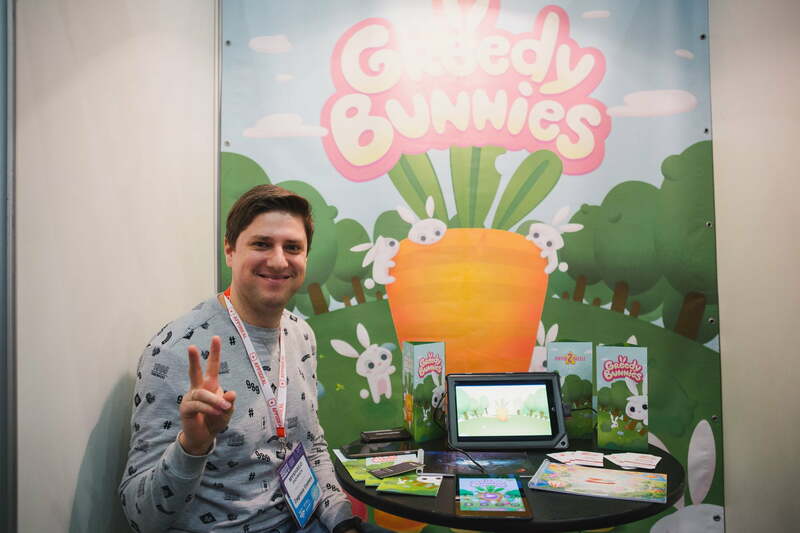 Instead of going to all the talks, you have to take care of your booth and people who wanna try your game. I volunteered to help with the preparations and in exchange got a ticket for free. You wouldn’t believe how difficult it is to stick giant arrows on the floor. Bubbles form. 😀 Transporting giant cardboard cube was fun though. 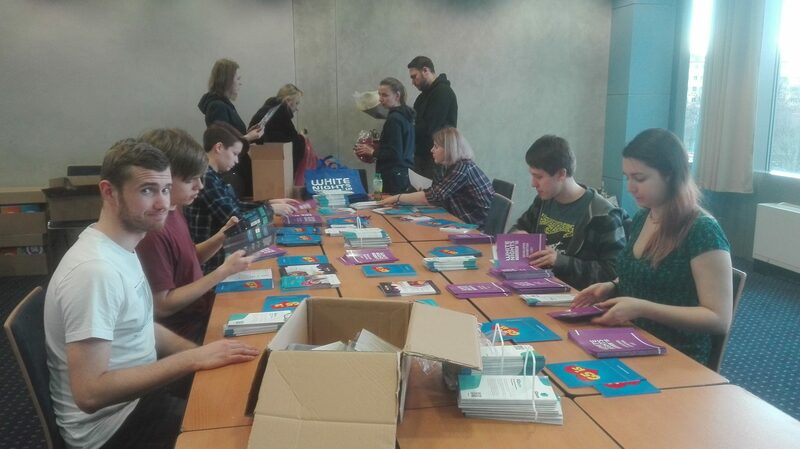 We were also preparing posters and bags for visitors. Guys from RigidCore Games were there too. Look at Ríša making that happy face! Volunteering on conference usually means you have take care of something during the event in exchange for a ticket. But since we wanted to have a booth with our game that wouldn’t be possible. Organizers were so kind and offered me an opportunity to help with conference preparations instead of a task during the conference. This allowed me to have time to showcase the game during the event. Are you an indie developers? Or a student? And you have your own project you would like to show at a conference? Contact organizers, ask them whether you can volunteer. It’s a great opportunity to meet new people. White Nights is a bit different than GDS and Game Access. 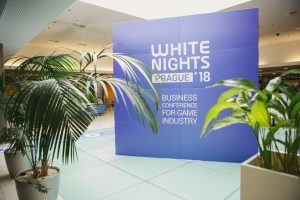 White Nights is business-oriented. There are more talks related to monetization, advertising and user acquisition. Even though White Nights is business focused. I made a couple of new friends there. See that bottle? After the conference we had a few shots with our comrades. I didn’t had any time to checkout other games. Cute match-2 game Greedy Bunnies was the only one. But totally worth it! So fluffy! With every conference (we were at Game Access in Brno, then GDS in Prague) we are more and more professional. We have business cards, T-shirts, hat and now we even have this amazing roll-up banner (design by Mr. Ciboch). If you have a game project and want to get some feedback, get exposure and meet people from the industry attend similar events. Participate in competitions. It will push you to make your game better. It will force you to nail down what exactly makes your game great. Google “How to pitch your indie game” to understand what I mean. Overall, it was a great event. Made some new friends, got a bit of feedback and advice from professionals. Special thanks to Adam and Kylan for their sound and UX advice! 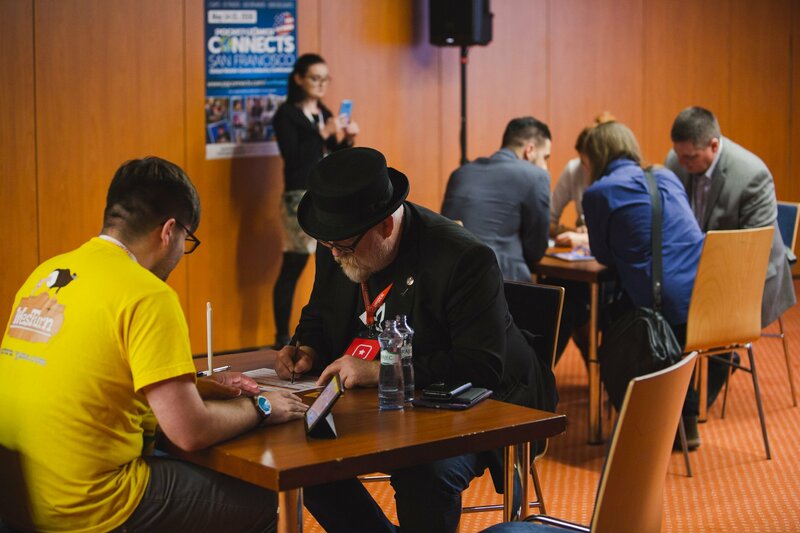 Take a look at all official photos from the conference part1 / part2 . 1 Pings/Trackbacks for "White Nights 2018 in Prague"